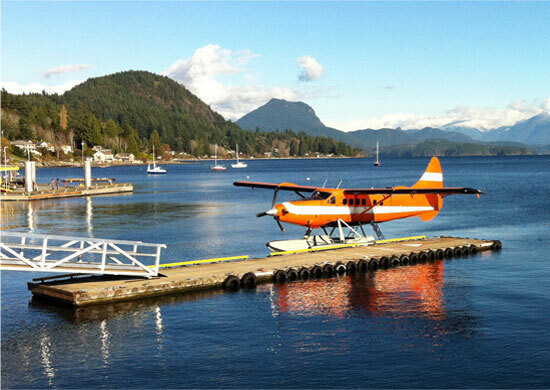 Vancouver Island Air is Campbell River's premier seaplane company safely serving coastal British Columbia since 1985. We operate two DeHavilland Turbo Otters. Our aircraft capacity is 1-26 passengers' large groups can be accommodated. Our location is a 3 hour drive north from Victoria, the capital city of British Columbia, Canada. If you are visiting Campbell River for the first time or have been many times, we recommend taking an air tour with us! Your flight will take you to some very remote locations, in some cases only assessable by boat or floatplane. If you are up for adventure and want to see the Real British Columbia give us a call.